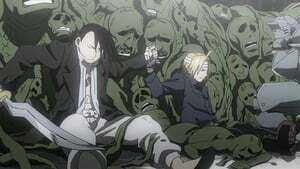 Alphonse and Gluttony arrive at Father’s lair, when Ed, Envy and Ling burst out of Gluttony’s stomach. 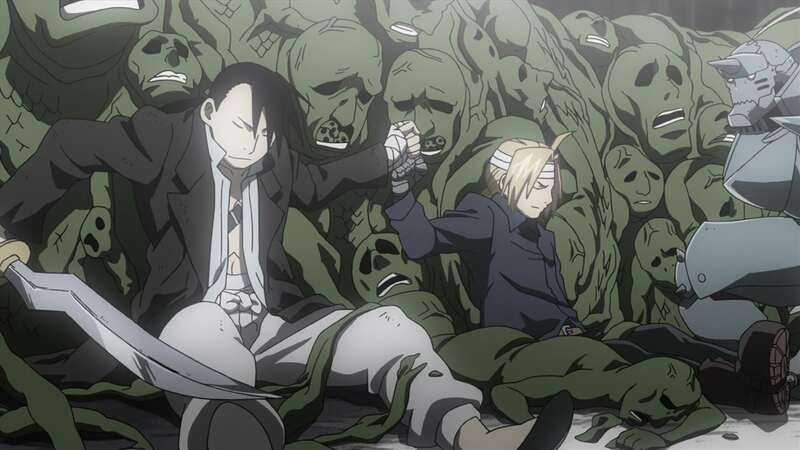 Alphonse, Edward and Lin then battle Father and the homunculi. Father then uses his strange powers and turns off Ed’s and Al’s alchemy, rendering them vulnerable. 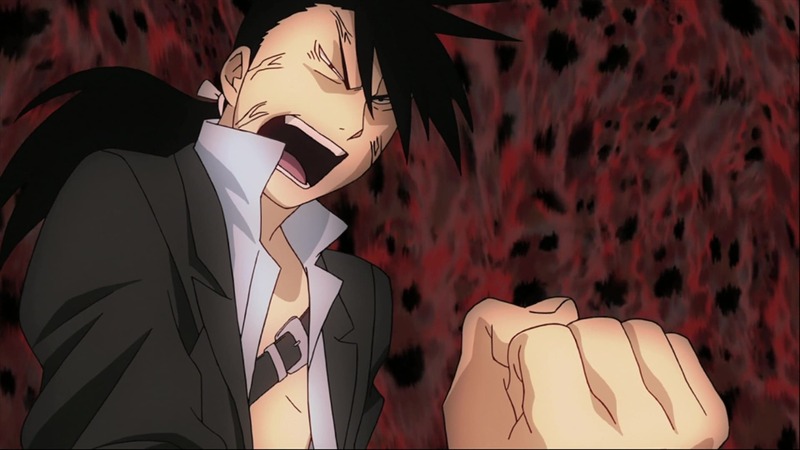 Lin is then captured and given the Philosopher’s Stone, turning into Greed. Scar and Mei then arrive and engage in battle, during which Xao Mei reunites with Mei and Scar finds out about Envy’s murder which triggered the Ishbalan Civil War. At the end of the battle, Gluttony dies and Father extracts his Philosopher’s Stone.